Now please understand, I do not enjoy returning merchandize. So instead of opting for the 30-day trial, I took an offer for buy 2 and get $15 off. Given that I have plenty of undergarments in my closet, I was not in a rush to receive the order. It arrived about 2 weeks later in the box below. I loved the simplicity of the box and that I immediately knew what had arrived to my home. Both items were neatly displayed in the box and wrapped in tissue paper. So how were the products? They were surprisingly comfortable!!! I ordered one lace classic push-up in lilac and one longline lace balconette in navy. I’ve had them for several months and wanted to wear them several times prior to writing this review. Both items were true to size and true to color expectations based on online photos. I wash them on the regular cycle in a mesh protective bag. They have had minimal piling and have maintained their shape and color. For a while I didn’t wear anything but these ThirdLove beauties!! Now the main area of disappointment about the company is discontinued products. Both of these items are now discontinued. The longline bra in navy is currently available in a different color, but the navy is sold out. After writing to ThirdLove asking about restocking the classic push-up style, I was informed that it was out of production. I’m glad that customer service replied promptly, but in a perfect world, I would love if the company would survey customers on preferences and make small batches. 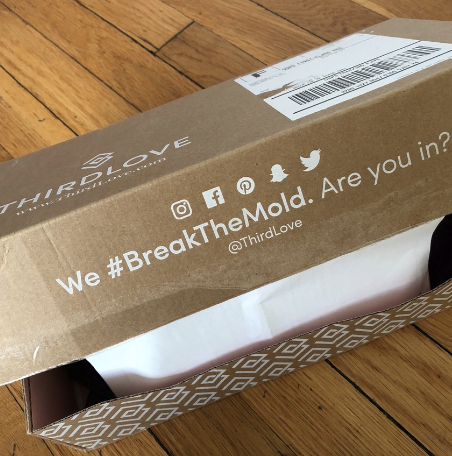 I’m guessing Thirdlove is manufacturing their key sellers and discontinuing items that were less popular overall. Colors available for purchase are muted and subtle. I have yet to see bright colors or gem hues. Hopefully, during the holiday season, they will bring out some red, green, and gold colors. I can definitely recommend Thirdlove and will be purchasing again as long as the styles I prefer are in stock.